The review of the TEWI colloquium of Karel Perutka from June 13, 2018 comprises the slides (below) and video here. 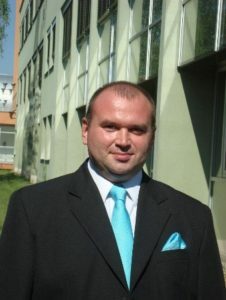 Karel Perutka is teaching MATLAB programming, electronics, microelectronics, diagnosis of digital systems and modulations and demodulations of signals. He is the most popular teacher of curriculum IT for administrative studiesvoted by students where he teaches the software used in the office.